Many companies struggle to identify their top talent. Top performing companies know exactly how their talent assets contribute to their strategic success and how to identify those attributes in prospective candidates. A World at Work survey discovered that organizations with a pay for performance culture and Talent Management programs that support their business goals are more than twice as likely to be high-performing companies. 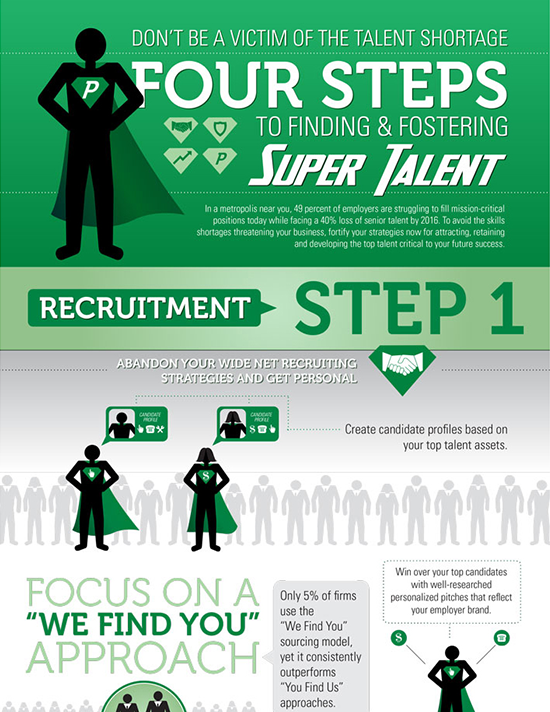 Do you know the four steps to finding and fostering super talent? See the infographic below to learn more.